Between my camera, Steve’s camera, and my cellphone, I’m sure we have close to a thousand photos. 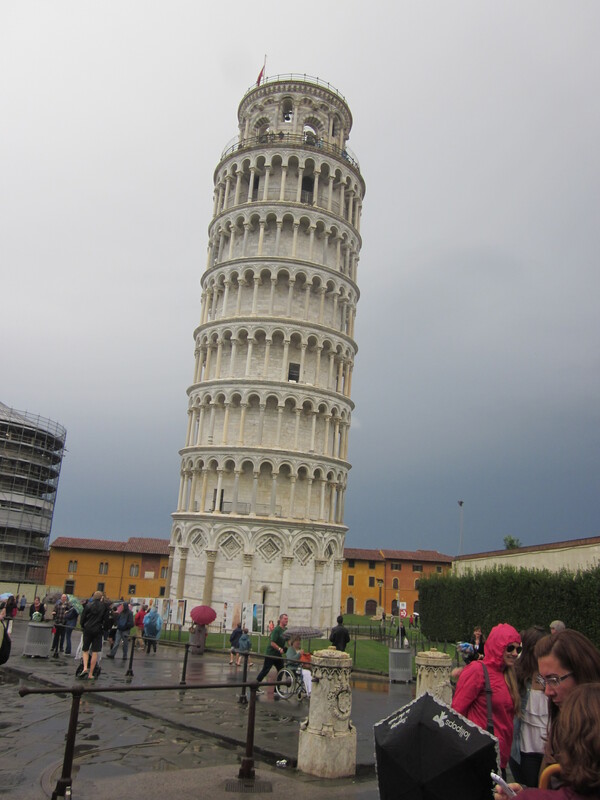 But, as I reflect on our two weeks in the diverse country of Italy, full of history, natural beauty and incredible food, I wanted to try to pick my favorite scenes and events as a way to summarize the experience from my perspective and bring this series of blogs to a close. 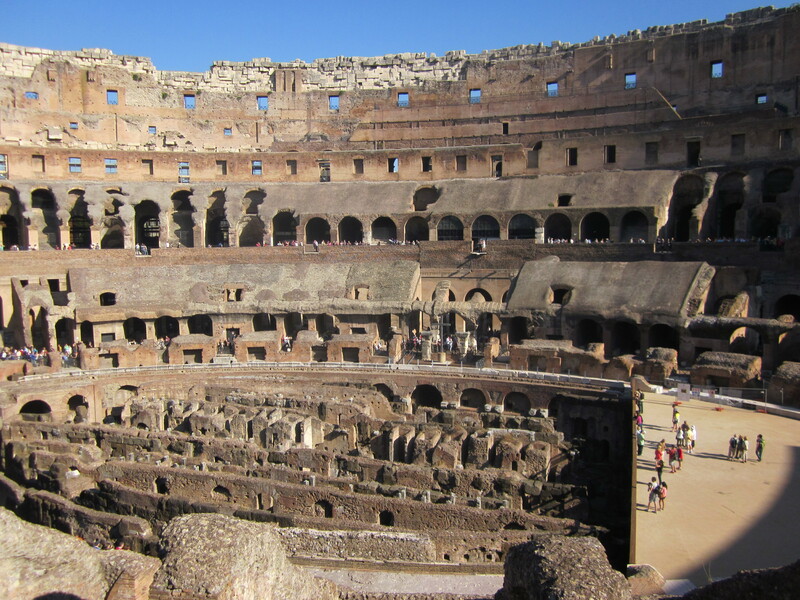 1) We began our trip in Rome, and for me, the most stirring sight was the Coliseum. It was not only massive in its construction, but it was also the place where many people were so committed to their belief in Jesus Christ as the Messiah that they were martyred for their faith. They died horrible deaths from gladiators and lions rather than to denounce what was in their hearts. I look forward to standing around The Throne with them in heaven some day. 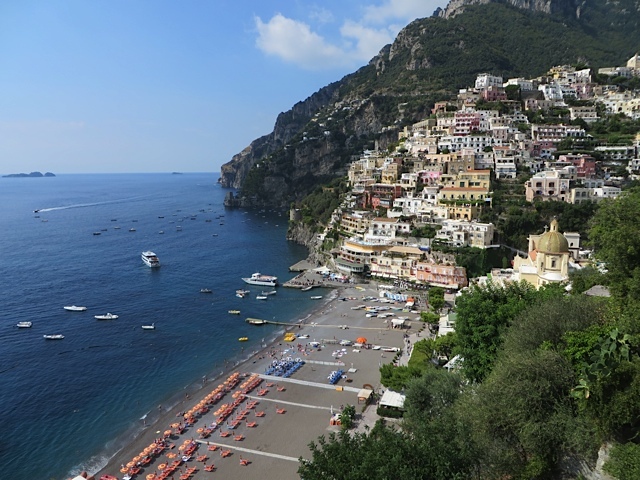 2) Positano and the drive along the Amalfi Coast were both incredibly gorgeous. Steve and I were on the coast of California a few months before this trip, and it was beautiful, too, but I believe the Italian coast cranked it up a notch. I wish you could see — and I wish I had the words to describe — the blue of the Mediterranean. Oh my. And the colorful villages that cling to the rocks? Let’s just say that artists have endless inspirations here. 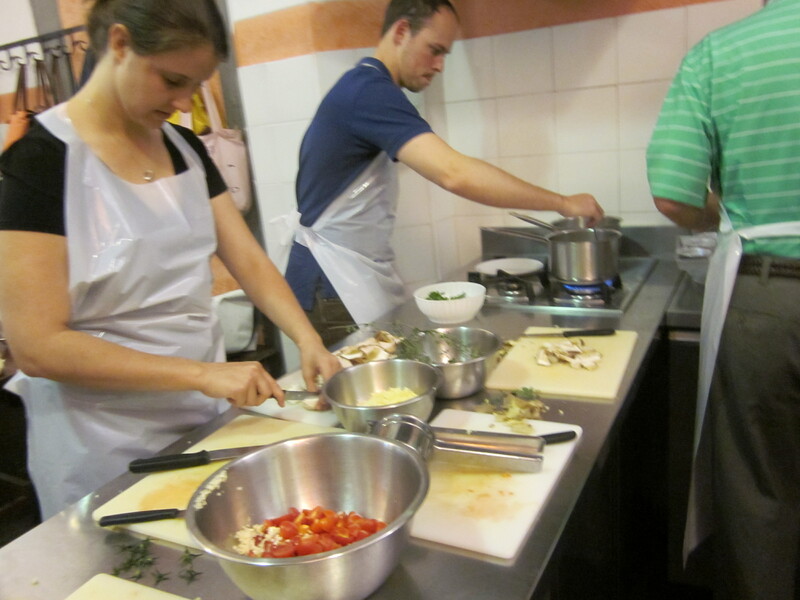 3) Our cooking class in Florence was SO MUCH FUN. 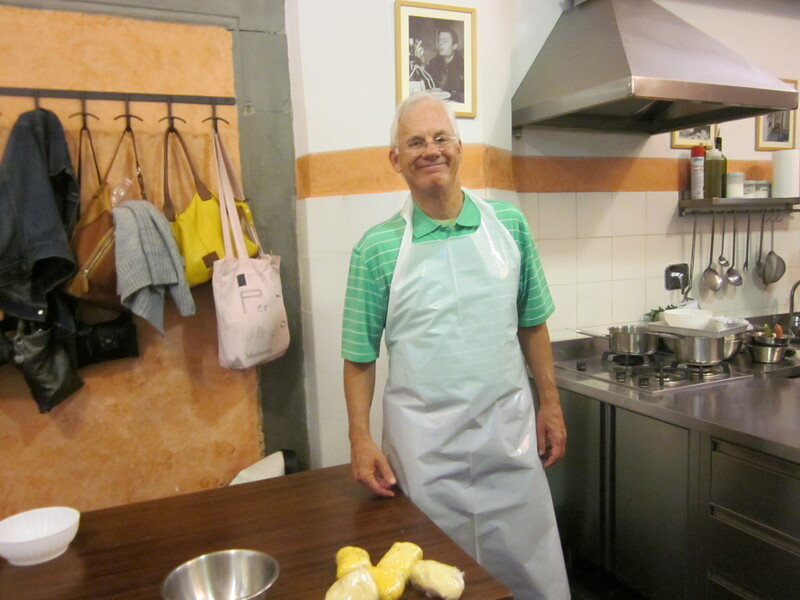 I highly recommend that you take a cooking class of some kind when you’re in Italy. Many are offered, and if I went back, I’d definitely sign up for another one. You’ll learn something, you’ll have a great meal, and you’ll laugh a lot in the process. We worked alongside a couple from New York who had been married for only six days!! Yes, they were COOKING on their honeymoon. 🙂 What was even more incredible was learning that the young husband had grown up as a Missionary Kid in Japan, and his parents are still serving as Southern Baptist missionaries there. Small, small world. 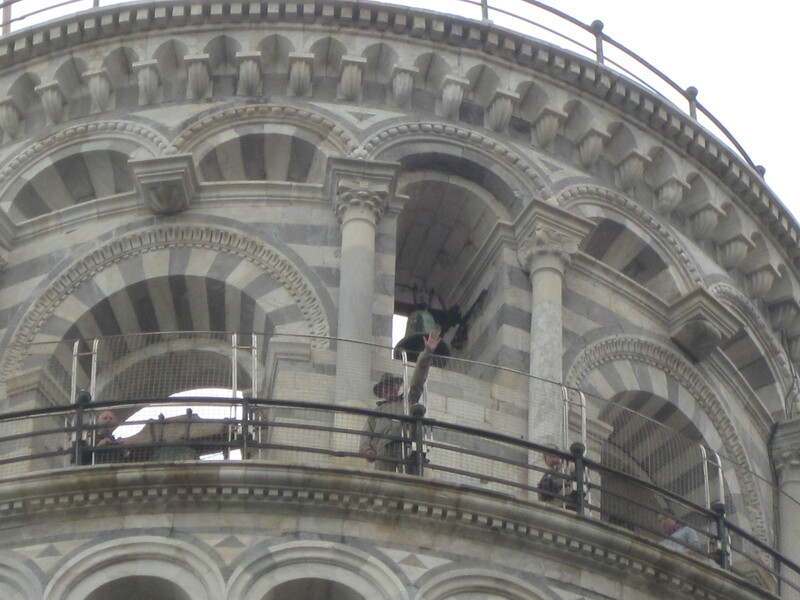 4) I will remember the sight of Steve waving down to me from the top of the Leaning Tower of Pisa. Healthy physical specimen that he is, he made it to the top, took a lot of pictures, and came back down in less than 24 minutes!!! A new Pearson family record! Ha! The tower itself was prettier than I anticipated. I believe you’ll enjoy seeing it. If I could go back, I would spend more time in the center of town where it is located, because there are other important museums and sights there as well. 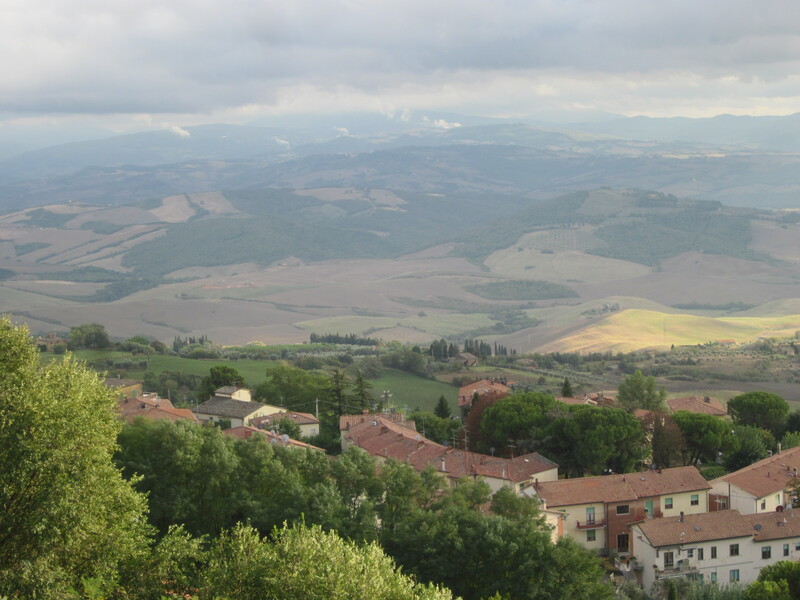 5) The Tuscan countryside is breath-taking. Pictures just don’t do it justice. 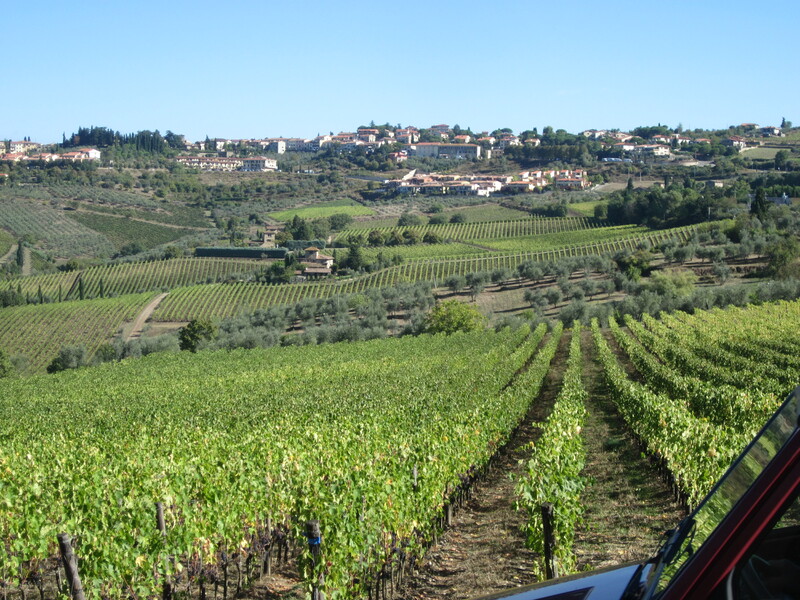 Miles and miles of vineyards, olive groves, villas and rolling hills — so vibrant and alive. You find yourself basking in all of the scenery and wondering just which direction you should attempt to aim your camera. If/when I go back, I’ll probably want to rent a villa in this region and just stay for several days soaking it all up. 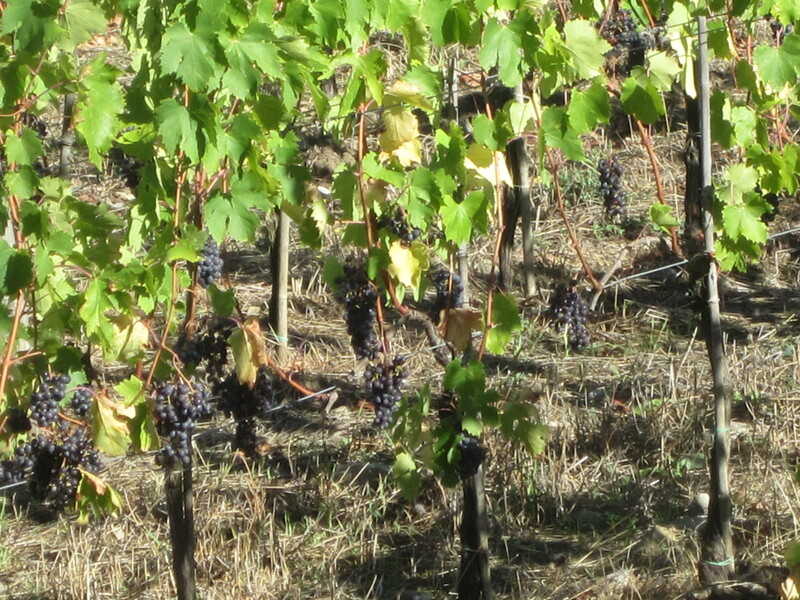 Notice the deep purple color of the grapes — very unlike the ones that used to grow behind my grandparents’ house that were used for grape jelly. 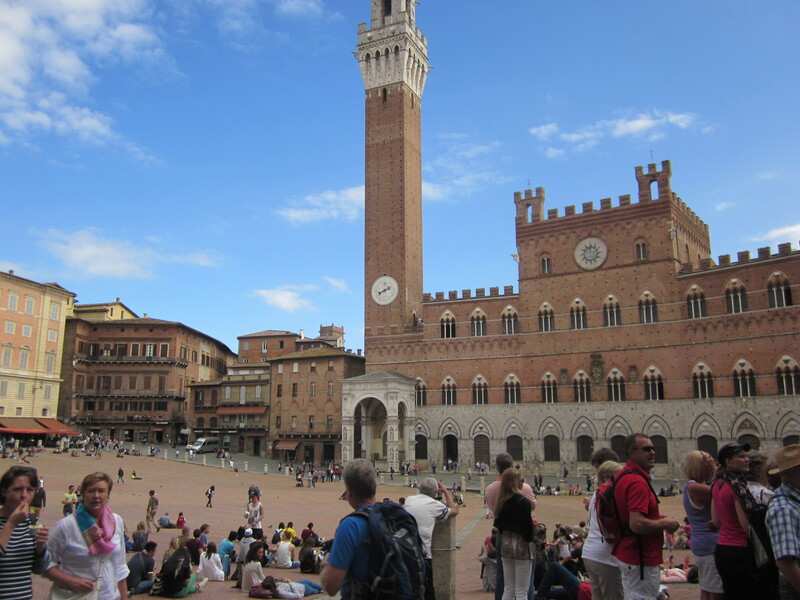 6) I loved walking into the piazza in Siena because I had enjoyed the movie “Letters to Juliet” while anticipating the trip. It was like being an “extra” in that movie — especially when we stopped to eat gelato in almost the exact place where the main characters ate theirs. 7) Steve and I are so glad we had the chance to see Leonardo da Vinci’s painting of “The Last Supper.” It was a moving, spiritual experience for us. Yes, we know that people in Bible days reclined at tables, rather than sat, but that fact didn’t take away from the impact of the painting at all. Da Vinci had evidently studied the New Testament and understood a lot about the character and personality of each of the disciples. He, too, had to have been a devout Christian to understand the importance of placing Jesus at the center and how he used divisions of three to represent the Trinity. The painting is a representation of what took place immediately AFTER Jesus told the disciples that one of them would betray Him. All of them look astonished and have strong reactions, except for Judas who is reaching his hand toward the plate, going on about the business of eating the meal. 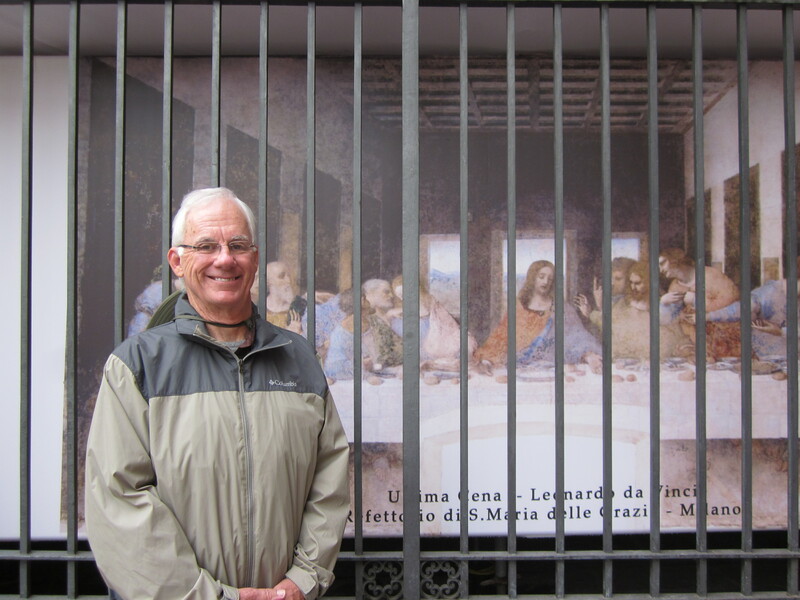 Of course, no photos are allowed inside, but this one shows Steve in front of a depiction in the Piazza of Santa Maria Grazie in Milan where the painting is located. 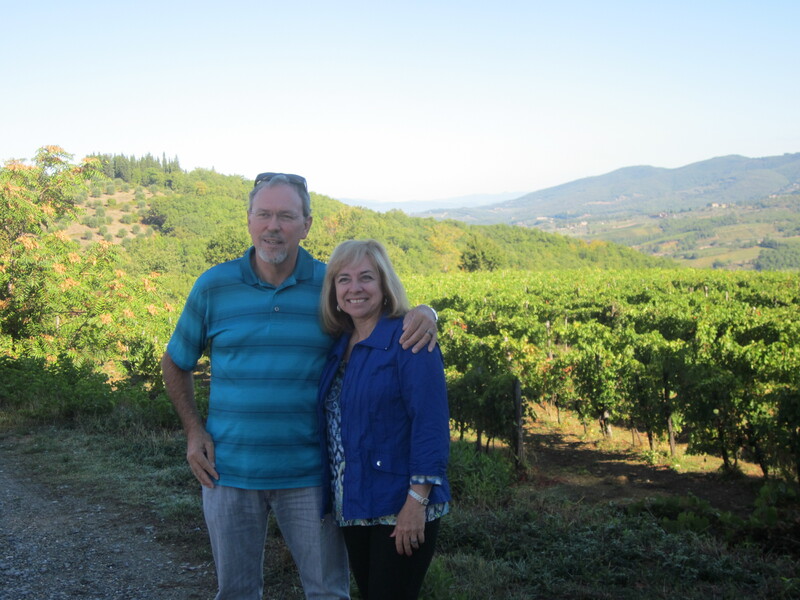 8) When I think of our trip, the faces of our friends Rick and Martine Sharp are woven into virtually every scene. We toured famous places together. We traveled on every possible means of transportation together. We stayed in the same hotels. They bailed us out when Steve’s wallet was stolen. And, of course, we enjoyed many, many delicious meals and cones of gelato together. We laughed A LOT. It is very sad to realize that we will no longer be able to spend time with Rick. We miss him. Martine, we are truly blessed to have had this experience with the two of you. 9) There is a saying in Rome that if you turn your back away from the Trevi Fountain and toss a coin over your shoulder, then you will return to Rome some day in the future. Well, here I am trying my best to toss my coin with Steve trying equally hard to catch that coin so he can put it back in his pocket. Ha! Those of you who know him well will understand completely. He doesn’t like to waste ANY money. However, I believe I WAS successful in my effort, so someday in the future, I hope to return. “Arrivederci, Italia.” Till we meet again, farewell. Oh, the memories! Thanks for revisiting this amazing trip!